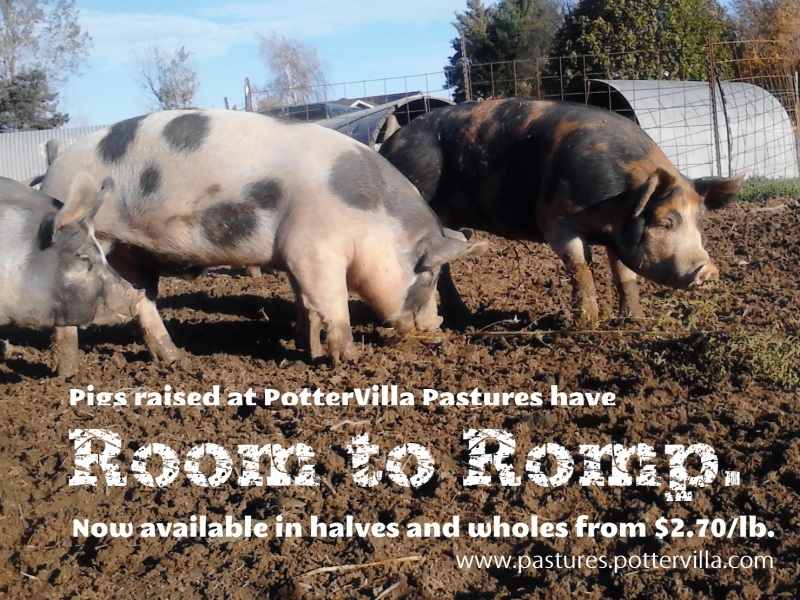 PotterVilla Pastures is now offering Homegrown Lamb! 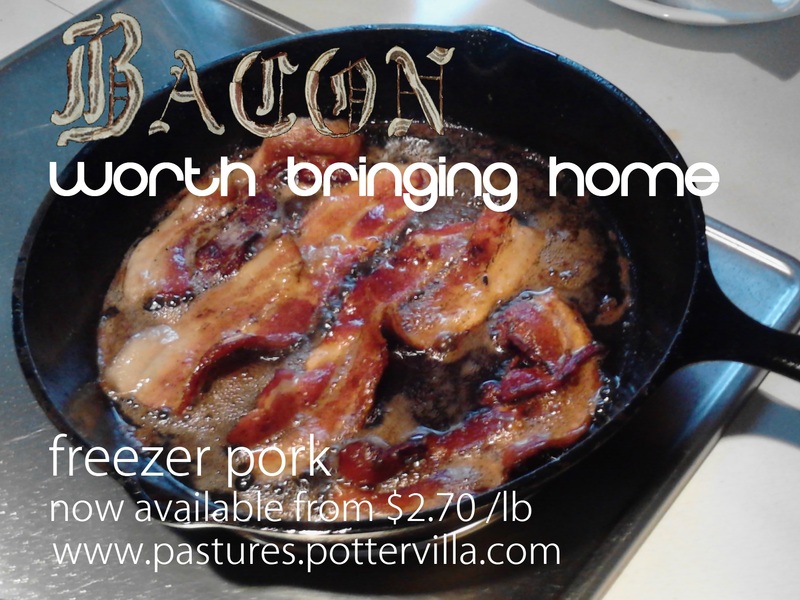 This is the meat for those looking for the best and leanest meat available. Raised on pasture and quality hay, these lambs have had thier diet supplimented with small amounts of a specially formulated sheep ration to ensure they recive the nutrinets and minerals to make them grow up healthy! Our lamb is priced at $2.90 per pound hanging weight for the spring of 2013. Please note that this price does not include the cost of processing, which will be the responsibility of the customer. We will be happy to work with you to select a processor and help you make the necessary arraingments. Also available: ewe lambs–are you ready to start your own flock? Prices vary, please contact us for further information.